Welcome jazz fans! This podcast is an interview with Elliott Hughes, Melbourne based composer and trumpet player, who combines interests in jazz, contemporary classical chamber and orchestral music, and electroacoustic music. He has had his music performed in New York, Canada, Hong Kong and around Australia, releasing his debut recording in 2012 with his large ensemble Horizon Art Orchestra. He has also worked collaboratively with theatre companies, scoring short films, and as a freelance arranger. He completed undergraduate study at the West Australian Academy of Performing Arts, and is now completing a Masters degree in Composition at the University of Melbourne. In 2014 Elliott is also currently the West Australian Youth Jazz Orchestra’s Composer-in-Residence, and is currently attending the Atlantic Music Festival Institute throughout July. This is the first part in a two part series and focuses on the amazing and talented large ensemble writers that are currently active in Australia. Please check back soon to hear the second part, which will showcase some of Elliott’s own arrangements! Elliott Hughes is coming to Washington, D.C. to have his music performed with the Bohemian Caverns Jazz Orchestra on Monday, August 11th at 8 and 10 pm sets. Additionally, the Brad Linde Expanded Ensemble will perform his music at the Jazz Gallery in NYC on August 12th, and at An Die Musik in Baltimore on August 13th. We hope you can make it out to one of these performances! Hi everyone! This is the second part in a two part series of interviews with Jeff Antoniuk, jazz saxophonist and educator. Please click here to see the first half of the interview. July 22, 2014 – MARS 4-tet featuring Jimmy Haslip on bass will be playing atBethesda Blues and Jazz Club. 7:30 pm, $22, 7719 Wisconsin Avenue, Bethesda, MD 20814. Click here to get tickets. I will post links to everyone mentioned in this podcast soon. Thanks for stopping by, and I hope you enjoy this interview with Jeff Antoniuk! I’m really looking forward to helping out and playing at the National Jazz Workshop this year! 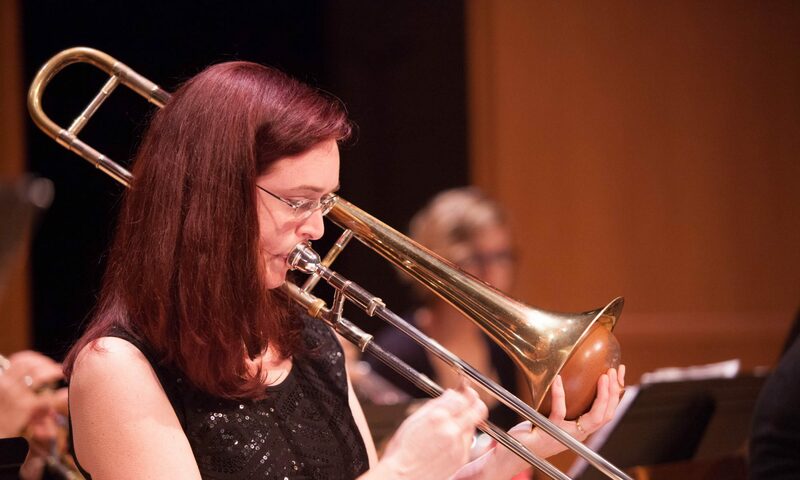 The Bullettes Quintet will be doing its favorite tunes from Hank Mobley/JJ Johnson/Curtis Fuller collaborations on Thursday, July 10th, at 3:30 PM in Armstrong Hall at Shenandoah University. The concert is free, so feel free to come on out and enjoy! This is a part of the National Jazz Workshop, one of the premiere jazz camps on the east coast. We will feature Anita Thomas on tenor, Lianna Gekker on piano, Lydia Lewis on drums, Shannon Fearon on bass, and myself on trombone.